Drop everything! Kukkia from Japan has solved the problem of kids begging for a treat from the supermarket gumball machine: take the gumball machine home. Well, sort of. 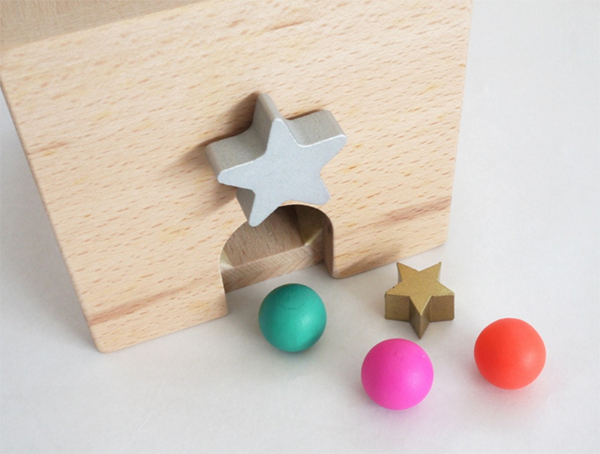 You take home a gorgeous, natural beechwood, toy gumball machine ($75) by Kiko + Gatcha Gatcha that requires not a gold coin, but a twist of a silver star to release the treasure inside. 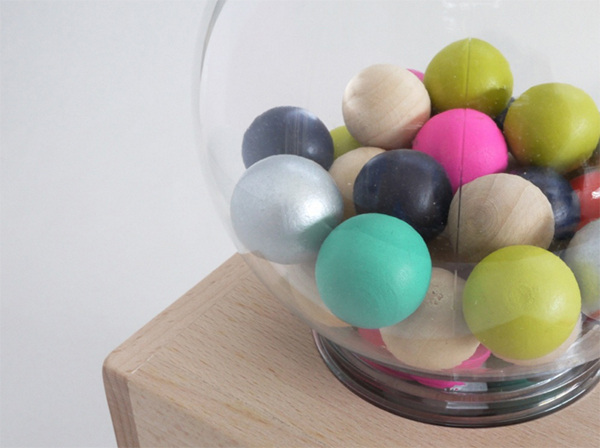 The set comes with 45 colourful wooden beads and shapes that look pretty on display in the plastic dome. A world where toys stay neatly in their place only exists after bedtime though. In reality the shapes are great for sorting games, creating colourful designs or using as currency in the lounge room gelato shop run by Mr Dinosaur. Speaking of dinosaurs, this theory is untested, but it seems like you could put just about anything small in this gumball machine: toy dinosaurs, zoo animals, actual gumballs. The Kiko + Gatcha Gatcha gumball machine is stocked locally at Leo & Bella and ships for $10 in Australia. This one is for three years and up, so watch out for younger siblings stealthily trying to eat the small parts.